Our company took part in the sixth international specialized exhibition “World of Metal 2014“, which was held in Minsk from 16 to 18 September. Exhibition “The World of Metal” is held every two years. For the duration of its participants were more than 200 companies from Belarus, Russia, Ukraine and Eastern Europe. 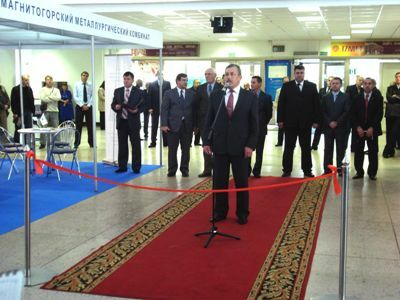 The objectives of the exhibition – a demonstration of experience in the production and processing of metals, attracting foreign investment, the introduction of new technologies in the field of metallurgy, establish business contacts between producers and consumers of steel and foreign partners. This entry was posted in Новости on Monday October 6th, 2014 by roman.